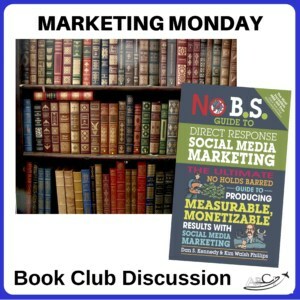 Paula Williams: People tend to think that social media is magical or different than marketing in general but it is really not. 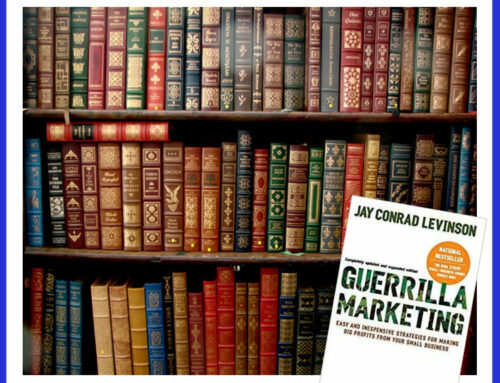 It follows the same basic rules of all marketing. So, if any of you guys have any thoughts about that or any comments. Paula Williams: Really, I thought your marketing course in business school was a little bit less than direct response. John Williams: Well, no, but I’m using the sort of generically. She was of the opinion that if anybody brought anything they had to be marketed to first. Otherwise there’s always an offer. A reason to respond, and so forth. I had many long and interesting discussions with her about that. Paula Williams: Right. I think of the things that happen in aviation. One of the things that happens the least or the one that gets done the least is number 2. There will always be a reason to respond right now. A lot of times we’ll see ads in aviation magazines and other kinds of things that they introduce a product and say, here it is, end of story. And there’s no offer really or certainly no reason to respond right now. And if that’s the case I think it gets put on a in our stack of things to do later and then it never gets done right? Kathryn Creedy: If you wanna see really good reason to respond right now, we’ve all seen the infomercials, late night infomercials. And they say, but wait! If you order now, you get the Ginsu knives! That’s the kind of response that you wanna get. Paula Williams: Right and the other thing is a lot of time we are selling really complex or high value items. 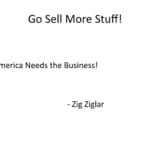 Like, Gene, you’re selling airplanes, and people aren’t going to respond right now to buy an airplane. It takes a certain amount of time, so if you give people a reason to respond right now, it might be for a consultation or a report or any number and things like that. I know we’ve tried these things with you. Gene Clow: In fact, I’ve still a couple more years to go, don’t give up yet. Gene Clow: And it quite honestly when I they used to run ads that had a minimal response. And they referred to those as “positioning advertisements” more so than a desire to get a response of some sort. You know for all I know they may have been trying to support the publication at the same time. Paula Williams: Right, they might be, and honestly there’s no reason that you can’t do positioning and still have a call to action in that ad. Running an ad that has a response mechanism, and that is measured and is followed up after and all of those things, still positions you, right? It says all of those things that you wanna do for branding, it doesn’t really detract from positioning. What do you think, John? John Williams: My Marketing Professor said, that what Gene said, basically, positioning is expensive. We had a software program that we used called Markstrat. Which you did all these various things and you had through my and through my that and see which one worked the best. And then all this testing over some number, some amount of time. Then you went back and said, okay, this is what I want. Put all the remaining dollars here. Well, that’s nice if you’ve got $800,000 which we were playing with. But how many people have that? You can’t afford to do that. This is a better way. Paula Williams: I think that a lot of those university classes are assuming that your Nike or that your advertising for Coke. You’re put on one of those large accounts for a Fortune 50 companies which is great. Even so I think I think everybody would do better, especially smaller companies, if every ad serves more than one purpose. And if they follow at least five of these six rules that there’s no reason why they can’t do all six, right? John Williams: Well if you’re not just throwing money away. Paula Williams: Right, right, exactly. And I don’t know if Jeff is on the call, Jeff Stodola? Paula Williams: I thought I heard, okay he does when he does his test flights, marketing test flights, a call to action is really what he’s looking for and I know he’s got his own version of this. Where he’s looking for, is this ad likely to be successful and these are the factors that he’s likely to be looking into. So, that is cool. All right, next thing. 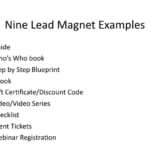 Okay, nine lead magnet examples. In our lead magnets, one of our lead magnet is a list of 17 lead magnets. [LAUGH] So we have some different ones but these are the ones that Kim wants included in her book. And a lot of these are different. They’re not things that I would have thought of, so this is cool. Anybody tried any of these or thought about any of these? John Williams: Well, we’ve tried a couple. Paula Williams: I think we’ve tried, we’ve done a guide, we’ve done a blueprint, we’ve done a checklist, we’ve done an eBook and we’ve done webinar registration, so we’ve done five of the nine. Paula Williams: Of them, one of the things that I’d suggest is that the eBooks are not doing as well as shorter things nowadays. People don’t want to read an eBook, or a 20 page item. They don’t really wanna learn about something, they just want to fix an immediate problem, so, if you can do something more specific, so, the checklist and the blueprints are doing much better than the e-books and the more in-depth information nowadays. How can you prevent that information from becoming somebody else’s checklist, or somebody else’s blueprint? Quite honestly, I’ll send that when I’m in the throws of a listening or an acquisition. But I don’t just put that information out there because my competitors would pick that up in a heart beat. Paula Williams: That is a great point, Gene, and I think that is a concern that a lot of people have, they don’t want to put things on their website. This is actually one step beyond that where people have to actually put in an email and a phone number, or give you some kind of information in exchange for that. So, that’s one way to take it one step away from being immediately plagiarized because you’re taking if off your website and putting it behind some kind of a gate. John Williams: But, But the other approach is to, particularly in your business, I know that you could probably say there are 12 to 15 very high level steps in acquisition or sales process. Each one of those steps has probably got 20 to 30 plus steps in it. So you could give the high level version and nobody’s going to know what’s underneath it. Gene Clow: There’s some truth to that. Paula Williams: And also, just make sure that you got your, you distribute things as PDFs and you have got your contact information on every page. Of course, that doesn’t prevent someone from using it, but a trick, and I don’t know if you’ve noticed with the, if Melania Trump’s staffers had done this, they would have prevented a whole lot of problems [LAUGHTER] but whenever you purchase content from anyone and, you know, we do this with our writers, we do this with everyone. 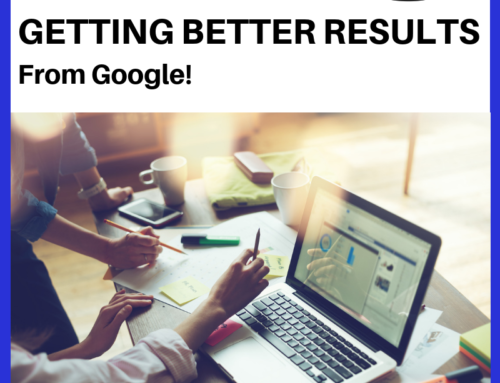 When we get content from anyone, we will take a string of 12 to 15 words and just stick it in the Google search window. And see if something comes up. And the likelihood of that happening if it’s original content is really low. Like trillions. So, you know, depending on how many words you pick and you know, it can’t be something that is a direct quote. But, we do that on a fairly regular basis with our content, because some of the other aviation marketing companies, and I won’t mention any names, will rip off our stuff. And we show up on their website. And usually all it takes is just a quick email, saying, you know, we’ve noticed that you’ve published this on this date, we had published it two years prior. Here’s the page that we think it probably came from. You may not be aware that someone may have copied this, so we tried to be nice about it, but they’re always very, very embarrassed, and they tend to not do that again for a couple of months until they hire somebody new who tries it again [LAUGH] . John Williams: So, far we haven’t had to take the next step, which is to have our attorney contact. John Williams: So, everybody seems to be straight forward and not going out of their way to do that. Gene Clow: Yeah. I put that phone call over my company’s name. And I didn’t lose that one. Paula Williams: There’s also some software called CopyScape. That will do this for you. And just continuously runs to find out if there’s anything published on the web that’s the same as your material, so that’s pretty cool. Catherine, I know you’ve produced a lot of this material. Are you concerned about copyright. Is that something you’ve run into? Kathryn Creedy: I haven’t run into anybody violating my copyright, but I had a conversation at Oshkosh with some of the photographers. Who had their stuff blatantly stolen from their website. And I was shocked to hear that. When they did the nice thing and said, by the way this is a copyright. You can buy it from me. It’s X amount of dollars. They were blatantly told in no uncertain terms and expletive deleted you. And the photographers had to go after them with their lawyers, and they ended up paying no only their fine, but the lawyers’ fees and the whole nine yards. So it is something that’s done a lot and done for not great purposes too. I mean, a lot of people had just want to rip things off and your experience hasn’t been that and my experience hasn’t been that, but it is something you have to be concerned about. Paula Williams: Right I guess the good news and the bad news about aviation is that it’s a small community so everybody knows everybody. And if my philosophy is if you publish something and you have dates on it you know and you let somebody know after that that it’s usually pretty embarrassing to them to be let know that and it’s usually somebody like an intern or somebody in their office that they tasked with something. Kathryn Creedy: The big problem that the photographers and even some of the other writers were talking about, is that it’s on the internet, so it’s free! Paula Williams: [LAUGH] No it’s not exactly. People work really hard on this stuff and work to produce it. So you do have to produce, I think it is worth risking putting content out there. But you can keep it high level, you can keep it copyrighted, you can watch copy scape, you can test things and so on. So those are all ways to protect yourself once it’s out there. And John, I know John and Rick, I think we have a new lead magnet for you that just started this week, so we l’d love your input on that as well. If anyone has downloaded that and seen what that looks like, so. Paula Williams: It’s definite, yes. John Williams: Yeah, I’m excited to get some responses from those and see where it goes. And like we talked about, you need challenges with an ultra small market as well. Paula Williams: Right. Yeah, and Gene, to your point, if you make it super specific so that it’s not really going to be useful to anybody except your ideal customer then the only people who would benefit from ripping it off is your direct competition. Then you only have three or four people to watch. Paula Williams: Cool. All right, next topic. 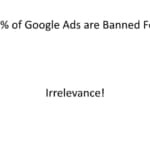 Why do 98.6% of ads on Google get banned? John Williams: These ads are adwords? John Williams: They’re ad words? Paula Williams: Correct. Pay-per-click adwords ads. And there’s a lot of folks in aviation, especially flight schools that rely very heavily on pay-per-click ads. They spend hundreds of dollars a month on this. John Williams: And in 48 hours, most of them are worthless and costing you money and quality on your website. Paula Williams: Exactly, and the reason that they get banned is because of what they call irrelevance. So where that the ad is about is, let’s say in few type ratings and then the page that it goes to talks about flight training. So, Google, being a stupid machine, [LAUGH] or a very smart machine depending on how you look at it, can’t tell the difference that this is actually related to that. So, the irrelevance really has to be obvious if we’re using Google ads as opposed to any other type of social media ads, they’re a little bit more lenient about what those meanings are. John Williams: And being Google, they won’t even tell you this. Paula Williams: Right. That’s the crazy thing is you buy and ad and it gets banned and you don’t even know that it’s not serving. So, you’ve paid for an ad, and there it is, not doing anything. John Williams: And if it’s bad enough, you can get dinged for it from Google, and actually lose ground instead of gain. Paula Williams: I know. So your search engine optimization actually suffers. So, you know? Our suggestion is to have somebody. Paula Williams: Sounds like we’ll move on. 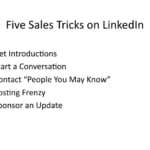 [LAUGH] So all right, quick sales tricks on LinkedIn. This is actually really cool, I like this a lot because a lot of the sales that we do is very specific. So LinkedIn really gives us a way to get to know people pretty quickly and to find the people that we want to work for. Because we pick our clients very carefully, they all have to be people that we like, otherwise this doesn’t work. And I know everyone on this call is really familiar with how that works. We really need to get to know folks to do that. And a lot of you guys are the same way. The people that you do business with, Catherine, the people that you write for are usually people that you know very well, and that you have done a lot of research on and things like that. Kathryn Creedy: That’s absolutely correct. 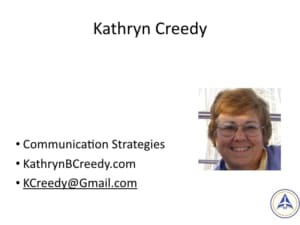 Kathryn Creedy: And I do the research on LinkedIn. Paula Williams: Do you? I know you post a lot on LinkedIn. You’re probably one of the most prolific people that I know. So maybe you could talk a little bit about your technique and how it works for you. Kathryn Creedy: Well, a long time ago, I decided to learn about social media. I basically brought myself kicking and screaming into social media, cuz I thought, ugh, new task that I don’t wanna learn, but if you’re going to have any type of brand, it’s absolutely essential. Kathryn Creedy: And one of things, and I’ve been collecting LinkedIn articles for awhile. And December and January are very slow months for me, so I decided one December that I would do nothing but LinkedIn when I wasn’t working on articles. Kathryn Creedy: So I went through every single one of those articles that I had clipped on LinkedIn, and I adopted whatever it said if it related to me. And so I find LinkedIn is one of my most important platforms. And one of the reasons I do so much on LinkedIn is because with LinkedIn, you can establish an expertise very rapidly by posting to the groups that are salient to you and posted to LinkedIn in general and writing blogs and things like that. So I actually get [COUGH] a lot of hits from that. [COUGH] Excuse me, and so the other thing about social media is it’s not about creation, it’s about curation, which also helps build your expertise. I wanna build my expertise with other aviation publications, so if I think they’re gonna be interested in a subject, I’ll go on Hootsuite, and I’ll ping it out to Facebook, Twitter, and LinkedIn. Paula Williams: Smart, very smart. Kathryn Creedy: And I get a lot of retweets and I get a lot of comments on Twitter and not a lot of comments from LinkedIn, but that’s okay. And people have, like you Paula, I have remarked that I do a lot on LinkedIn. And that’s the whole point, to raise my visibility. Paula Williams: Yeah. RIght, that is absolutely right. And John you’ve got some experience on LinkedIn as well. Jon Wenrich: Yeah, ironically the single most beneficial or successful sales tool I’ve used for high network individuals, in particular in the last year, is the difference between clicking the Connect button that comes up from the network page where it shows pages and pages of potential connections. If you click that, it sends the canned introduction message which I always ignore. 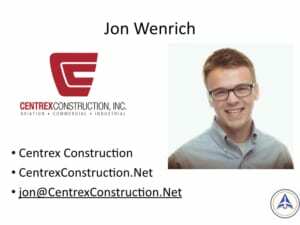 Jon Wenrich: If you click the person’s profile and then click Connect from there, it allows you to send the personalized message. And I always include my phone number in that, and I’ve gotten more calls immediately after sending that directly from a potential client than I have any other medium. But it’s the difference between that canned message and the personal message. And I would say I’ve done business with that person, as opposed to a friend or something like that, and nobody’s ever questioned that. Paula Williams: That is brilliant. That’s what we found as well with high net worth and ultra high net worth individuals is often they will pick up the phone long before they’ll hit reply. And a lot of them are in John Williams demographic, and I know it drives you crazy when people are texting when they should just pick up the dang phone, right? John Williams: I mean, I get it, right. A text to say are you there, yeah, or a quick question. But to get long-winded text, when you ought to be talking, just disgusting. Paula Williams: [LAUGH] True, yeah and that just makes you a real person when you’ve had a conversation with them, as opposed to just an electronic exchange. So very smart to customize the message, very smart to include your phone number. Paula Williams: Yeah, I think these are all really good suggestions from Kim, and they worked for us as well. 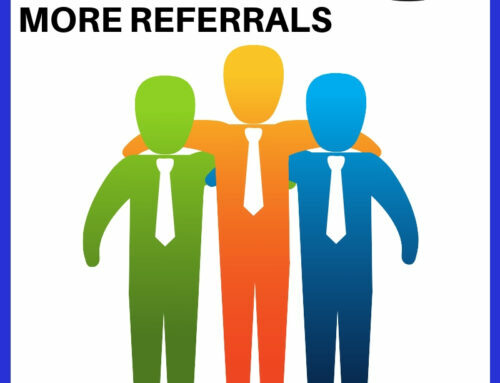 So we always recommend people have a top ten most wanted customers and that you connect with them, you follow up with them. You send them, perhaps articles that you think would be relevant to them, congratulate them on their anniversaries and things and always change that canned message to you something else, even if it’s a tiny change but make sure you do that. John Williams: And another thing is, if you travel like we, most of us do, wouldn’t hurt to have an updated picture because I’ve met people in restaurants when we both have not met each other before and decided to meet, so we looked each other up on LinkedIn, so we know who we’re supposed to meet. Paula Williams: [LAUGH] Doing the funky blind date thing, I’ll wear a red carnation. John Williams: You walk into a restaurant, and are you Joe? Are you Joe? Yeah. If you need the guy’s picture, you just walk right up to him, so. It’s crazy, but it works really well. Kathryn Creedy: Yeah, me too. Paula Williams: Good, sorry, Catherine. 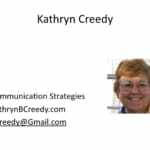 Kathryn Creedy: All right, I do too, I don’t use Google+, but I was just given a lesson at OshKosh that I should be doing Google+. So I’ll spend this December on it. Paula Williams: Excellent. 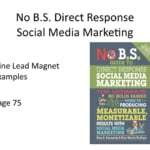 I do think that these are less vital than, most of our business comes from LinkedIn, Facebook second, if we were to categorize social media. [COUGH] Third, and then, we do get a lot of pressing queries and other things from Twitter. Kathryn Creedy: I thought that, when I’ve gone to conferences with the media, where it’s a meet and greet specifically, PR to media. When you ask them what social platforms they use, they get their news from Twitter, Facebook, and LinkedIn. 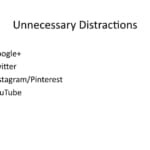 So I’ve almost completely concentrated on those three platforms. Paula Williams: Right, right. And Gene and John Williams I think you two pretty much exclusively use LinkedIn, is that correct? Gene Clow: For what little bit of social marketing I do, that’s correct. Paula Williams: Yeah, great, and there’s your demographic breakdown right there. John Williams: But, not anything like them. Paula Williams: Right. Jon, what about you? 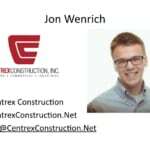 Jon Wenrich: In terms of the ones I consume or submit too? Paula Williams: Both actually. Let us know. Yeah, either both ways. Jon Wenrich: All the time. But for producing, it’s 90%LinkedIn. And consuming probably 80% LinkedIn. Paula Williams: Okay, yeah, so you’re right there with the guys. [LAUGH] That’ll be another three on the call. One thing I have found which is kind of an anomaly in aviation is that they’re in the pretty active Pinterest group for some of the vintage aircraft, and especially for aircraft maintenance. It’s surprising cuz you think Pinterest is housewives doing cupcakes or whatever, but actually there is a pretty active group that does modifications to an aircraft, and they take pictures of those. And then they have some groups on Pinterest and Instagram that are pretty active. For those purposes so it’s an anomaly for the industry so that’s interesting. Kathryn Creedy: I bet you’d find the same with YouTube. YouTube is great for going to, to figure out how to do something. Paula Williams: Yes, definitely. I think it’s wonderful that you can figure out just about anything you want on YouTube. And a lot of the aviation maintenance folks. And also aircraft aviation training folks do a lot on YouTube that’s good stuff. All right, so the next section she talk’s about is customer retention. And I think this is really interesting, because we’re always focused on marketing new customers, new customers, new customers. 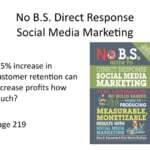 But you can’t use social media in a lot of cases to retain customers, introduce your customers to each other, build that network. Help them use customer service and other kinds of things, using social media. 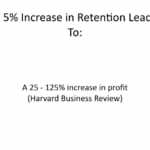 So she talks about a 5% increase in customer retention can increase your profits, and she quotes the Harvard Business Review is 25 to 125% increase in profit. And from our experience, that is absolutely true or maybe even more than that. Every customer retained is worth a lot more than a new customer that we acquire. John Williams: And costs less to acquire, you’re already there. Paula Williams: Yeah, yeah absolutely. So and you guys, I know, often have repeat customers. Catherine, I know, people come to you again and again. I know we do, [LAUGH], come to you again and again because you’re really good at what you do and we’re comfortable with you. So you probably write for the same people quite a bit. Kathryn Creedy: I do, I have seven or eight different clients, but I write for the same ones every time. And yeah, somebody who’ll be, that’s good for diversity so that somebody won’t be using me for a while. And somebody else will. So it helps me even out the seasonality. Kathryn Creedy: But also, for instance, if I see an article of specific interest to one of my clients, I immediately put it up on their social media page. Or I immediately tweet it out or whatever and hashtag them or put their @ symbol there. And I go out of my way to find their Twitter handle. And I always get it retweeted. And when I see them the next time or when I speak to them the next time they always mention how much they appreciate that little effort on my behalf. They don’t pay me for that but I know that they’re gonna be interested. Paula Williams: Yeah and that they’re gonna think of you the next time that they need something done, right? 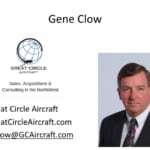 Gene Clow: In fact that was interesting because when I started out with you a few months ago the average was 32 months for aircraft ownership. And I’m going to inquire with the multiple listing services to find out where that has changed. Because I honestly believe its moved way to the right. 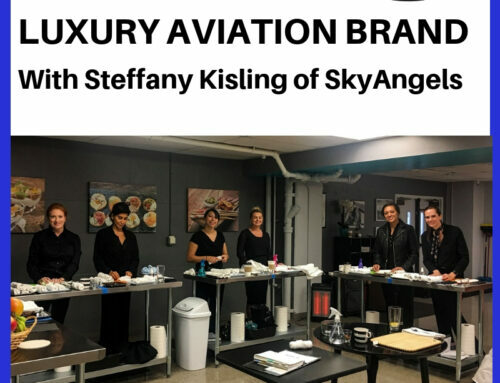 Kathryn Creedy: That’s interesting because I was doing a story on financing at Oshkosh, and the two people I interviewed for that story, they both said the average lifespan of an aircraft for a particular owner was about five years. John Williams: And that wouldn’t surprise me in today’s market for me, post 2004. Gene Clow: And John a quick question. What correlation do you find between the Amortization where we are moving up as well, and it’s tied in hand and hand with the five year, what’s the correlation there? John Williams: I think it’s a significant part of it. The fact that airplanes over the last four decades have been depreciating assets with a couple of exceptions. And very very short exceptions. Four, five year periods where people are actually making money on airplanes. But if you did the long term look, you’re gonna see, prior to about the last four or five years, a constant 10% reduction on average per year. The last four or five years it probably bumped up to 12 to 15%. Paula Williams: Moving right along. I know there is probably a great conversation that the two of you could take offline with that. I think that because that ties right into both of your businesses as far as the length of time that people keep airplanes. And how often they upgrade and or downgrade. But next question from the book. How important are beautiful pages emails, ads and other kinds of things? John Williams: Well it depends on where you’re sitting. Paula Williams: [LAUGH] Exactly, this is that positioning that Gene mentioned. John Williams: Well, we’ve had a client that wanted a quote, a beautiful ad and to say one thing but we tried to convince him it’s a waste of money, would do no good. He didn’t believe it, so we put it out there and it did no good. He was throwing money away and subsequently, we couldn’t convince him. Paula Williams: Yeah. And there is nothing wrong with making an ad better looking as long as it does what it needs to do. 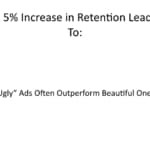 Paula Williams: But I think the key here is really testing, and sometimes we find that ugly ads will outperform a beautiful ad. And beautiful is not necessarily the key to the kingdom here. 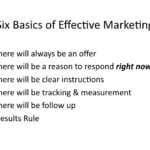 What were after in marketing is a good return on investment. So, if we had a 5% on one ad and a 6% return on one that our client hates, [LAUGH], we’re going to advise them to go with the higher return on investment. John Williams: To be even more pointed, we acquired a client a number of years ago, before they got to us, had spent a quarter of a million dollars on their website. Boy, was it nice looking. Paula Williams: It was beautiful. It was absolutely stunning. John Williams: However, it’s like buying a new airplane that’s stunningly gorgeous, doesn’t have any engines on it, because it was doing nothing for them. They had not one sale in over a year’s time from that website. Paula Williams: Right. We had to mess it up a little to make it work. But it did work and that was the key point there. I think Kim makes it really, really well in the book. That’s an excellent way to put it. 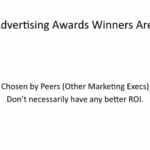 Paula Williams: What are the criteria for winning advertising awards? You may have wondered, winning the Clios or the Webbys or any of those other kinds of awards. People often think that that is an indication that you’re working with a really fantastic firm, if they’ve won lots of Clios or lots of Webbys and things like that. But actually, those are not indications that those ads are doing any better than any others. It just means that they were chosen by their peers and often that means that they buy a lot of advertising and have a lot of [LAUGH] brownie points with the industry. Would you agree, John? John Williams: It’s crazy because of the last statement there. Some of them didn’t even have an ROI, much less a better one. Paula Williams: Right. Exactly. The sad thing is sometimes the clever advertisements that win those awards, people will not remember what company they were from. They’ll remember they really loved the ad and they react really positively to it but they don’t know who it was from and it certainly doesn’t directly relate to the product or service that’s being advertised. John Williams: You can test that yourself to Super Bowl time. Two weeks after the game, you can probably remember some ads but you don’t what company it was and what product they were selling. Paula Williams: Right, that is true. 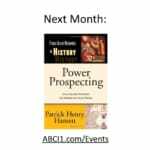 Next month, we’re gonna be talking about Power Prospecting by Patrick Henry Hansen. Check the events schedule for that. I want thank you guys for coming today. I’d love to have you guys tell us really quickly what you do and how people can contact you. Maybe we want to start with Gene? Gene Clow: Certainly. 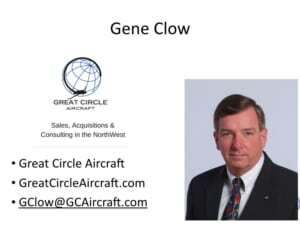 Gene Claude with Great Circle Aircraft and I do the aircraft brokerage business. We specialize in the lower 60s to the Gulfstream 650s and acquisitions and listings as well. John Williams: Do you do Falcons as well? John Williams: A little later on. 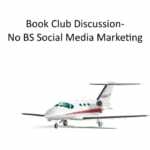 Kathryn Creedy: I’m an aviation journalist and communication strategist, so I try to enhance the visibility of my customers into a subject matter expert and teach them how to do that whether by social media, I also write copy. Paula and I have been working together. 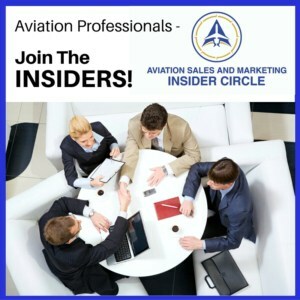 I write for about six or seven different publications on aviation. I’m one of the few reporters at the crossroads of business and commercial aviation and that’s what I do. 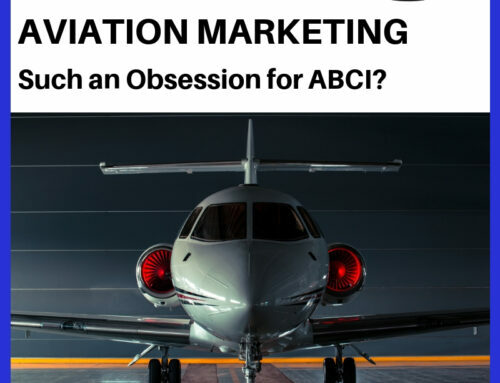 Jon Wenrich: Yeah, Ford and BMW can say they’ve built airplanes but would you trust them with your new corporate jet? Paula Williams: [LAUGH] I might not. John Williams: The same way many people say they’ve built the aviation facilities, hangars, MROs, FPOs but that’s our fast ball, that’s what we do and we’re in it by choice. There’s nobody better on the west coast than Aviation Construction because we know it and it’s our passion so we’re having a lot of fun. If anybody’s seen the 12 acre Aviation FPO at PDX in Hillsboro, Aurora all over the West Coast. We’re pleased to be in the industry. Paula Williams: Beautiful. Thank you and we’ll call it a wrap! Social Media Survey Results – More Mythbusting!